It's about time I tried styleARC. All the cool kids are doing it! This company is based in Melbourne, Australia. Their premise is to have up-to-date clothes, drafted the same way as commercial patterns. The Mia dress is my first attempt. You can read a full review of the pattern here at Pattern Review, but I've value-added some thoughts here at the blog. 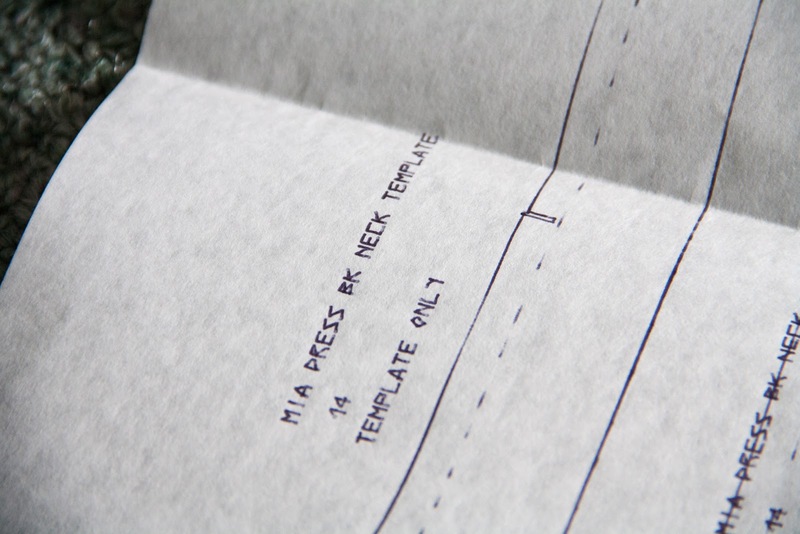 Firstly, I love that these are hand-traced onto normal weight paper. I assume the hand tracing is because it wouldn't be cost-effective to make production runs of trendy single size patterns. It makes me feel special to have a hand-drawn pattern! 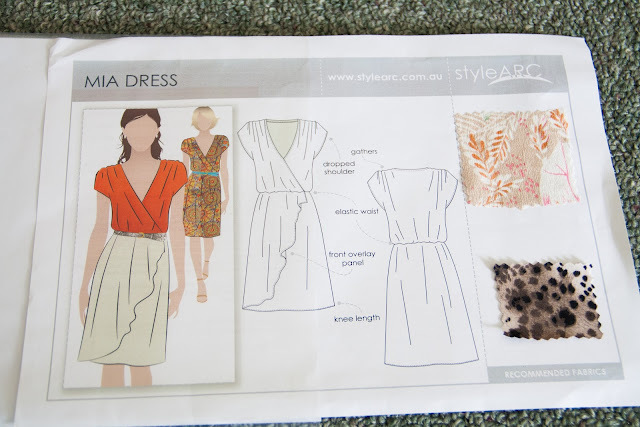 The dress was simple to sew, with basic instructions. They probably would be too brief for an absolute beginner, but gave me all I needed to know. I've heard that their customer service is very responsive, so they could probably help if you got stuck. Alternatively, there are loads of helpful sewing forums where people would lend a hand. The dropped sleeves balance out my giant hips. Also, they are practical (hides bra straps). This dress has an elastic waist, but I feel 'unfinished' without a belt over the top. It's very comfortable, either way! It's still windy here (after yesterday's killer tornado). Sorry about the hair. Anyway, I also like the front drape on the skirt, but I'd leave this out if I used a busy fabric. The length is good, and there is a good quantity of ease at the hips. In future, I'd add a little bit of room at the bust - but that is to be expected. Stay tuned for more styleARC! It's only the first pattern I've tried from them, but I'm feeling encouraged. I love looking at other people's creations, so I'll be interested to see what you make! I've wanted to try this company because I've heard so many great things about it but the shipping costs alone are SO prohibitive. I like this with the belt. I think it gives it a sharp look. Australia Post is just plain expensive - my sister sent us Christmas gifts weighing about 1.5kg, and the postage was $40. I found I got the best deal on shipping by ordering three patterns (which came with a bonus freebie)... I've decided to value the time I *don't* spend having to trace and modify these patterns before sewing! And thanks - I don't think I'd wear this dress without some sort of a belt/sash. It sits on my natural waistline at the back, with a little bit of blousing (which I think the pattern intended). It's a bit short at the front due to my bust size... but then again, I am short-waisted to begin with. So I can see that it might be a little short in the bodice for most people.